Camera: Canon EOS 300D (EOS Digital Rebel); Lens: Canon EF 100-400mm f/4.5-5.6L IS Zoom; Focal Length: 400mm; Aperture: F/6.3; Shutter Speed: 1/320; ISO: 400. Location: Mosi-Oa-Tunya is a miniature park 66 sq km in size that was established to protect the famous Victoria Falls and environs along the Zambezi River. The river here is fringed with large trees, Llala palms and thick vegetation with mopane woodland behind. 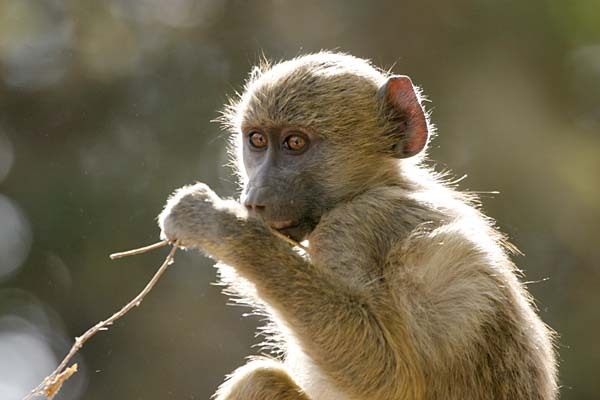 Wildlife residents include buffalo, elephant, waterbuck, hippo, vervet monkeys and baboons.